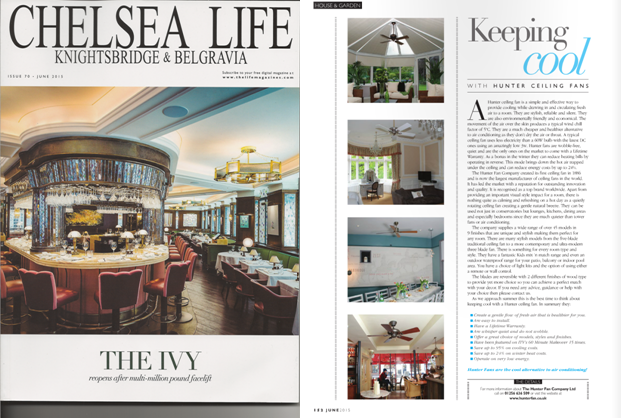 This month’s edition of the London Life magazines ie Chelsea & Belgravia Life, Hampstead and Highgate Life, Marylebone Life, Mayfair Life, Notting Hill Life and St John’s Life, have all given a great endorsement to Hunter in their editorials. They have included a nice selection of our room shots which should really help get our message of environmentally friendly and healthier cooling across to the wealthier parts of London. The other big plus of a ceiling fan over air conditioning which makes them great for the many listed buildings in these locations is that they are much simpler to fit and won’t get rejected as they don’t require large ducts and pipework. 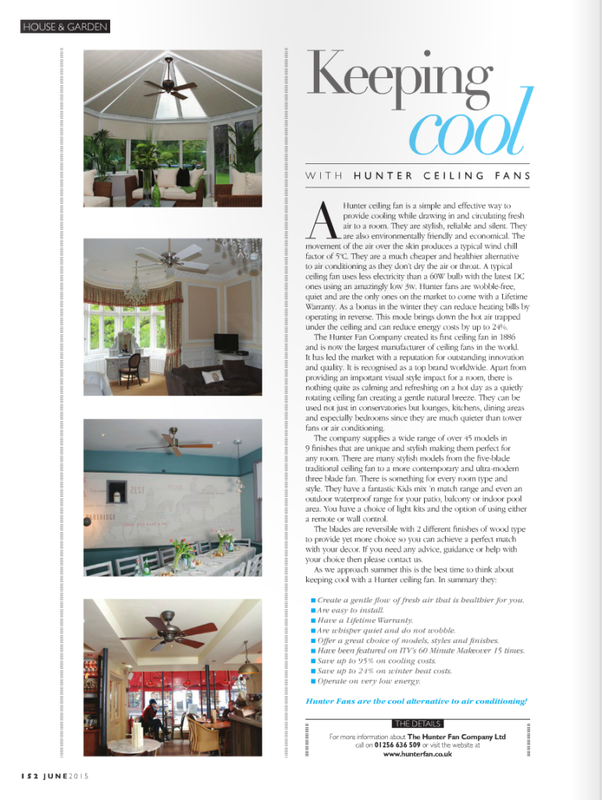 With so many designs and styles to choose from there is so much to gain from having a classy quality Hunter ceiling fan in your city home, office or restaurant. These magazines are distributed to selected addresses within these London Boroughs. To read the article click on the image below or for the whole magazine please go here you will find us on page 152.